MANILA, Philippines - Don't have enough time to renew your professional ID card (PIC) due to old system's tedious and manual process? It's now over as the Professional Regulation Commission (PRC) finally announced a new system for the online renewal of PRC license card. 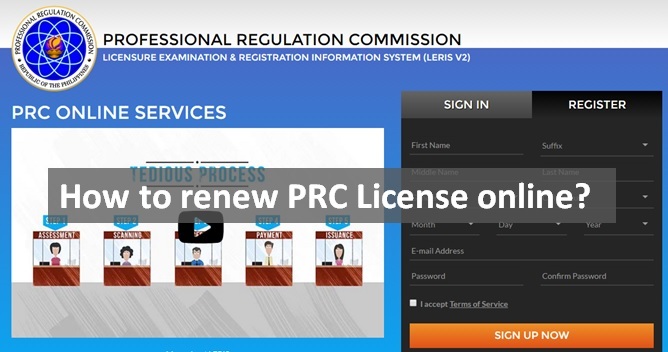 The PRC online system called "Licensure Examination and Registration Information System" or LERIS is a new portal developed to enhance the process and avoid long waiting time. Instead of the usual 'assessment-scanning-processing-payment-issuance' process, the new hassle-free services involve online registration and payment and 'processing-issuance of card' at the PRC office. 1. If you already have an account, sign-in at www.prc-online.com. Otherwise, register here. 2. Membership confirmation will be emailed. Complete your registration by clicking ACTIVATE ACCOUNT. 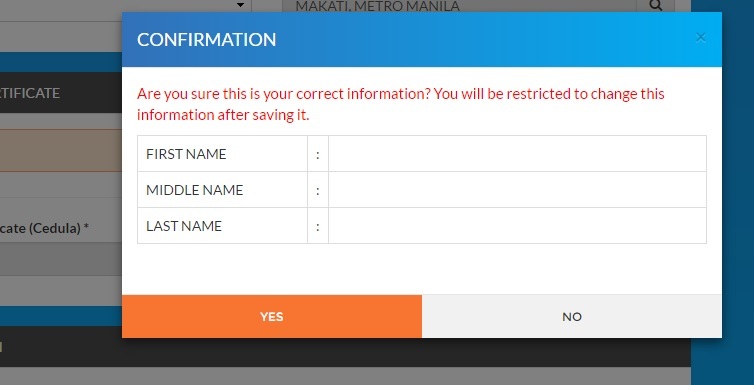 Then, sign-in to your account. 3. Update your personal data, family background, contact details, employment information and other required information on PRC Online website. One done, SAVE INFORMATION. In a pop-up window, confirm if the information about your name is correct. 4. Click on SELECT TRANSACTION at the right side column. Keep in mind of the reminders about the acceptable photo by PRC. 5. Close the reminder and a new window will pop-up. Select RENEWAL. 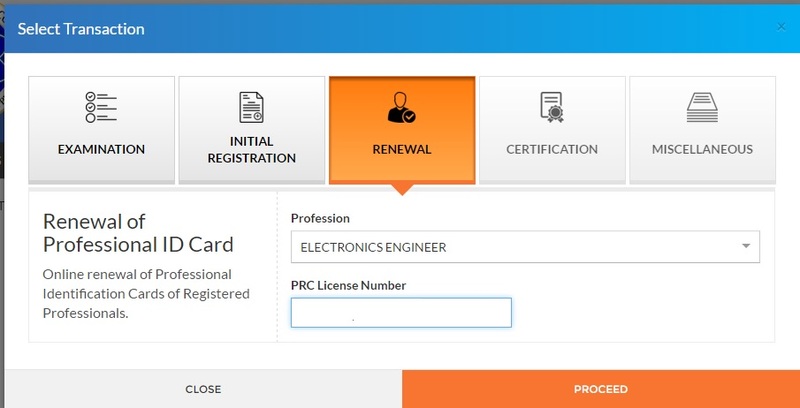 Choose Profession from the dropdown and enter your PRC License Number. The system will validate the data and proceed to the next page for the preferred date and time of pick up and payment. Architects – photocopy of valid UAP Membership ID/ Certification of Good Standing. Guidance and Counseling – valid Certificate of PGCA Membership and annual payment receipt. Prof. Agricultural Engineer – photocopy of PSAE Membership ID / Certification of Good Standing. a. Over the counter - Pay cash over the counter to any banks like BDO, Metrobank, BPI, Landbank, RCBC, Chinabank, Eastwest Bank, Union Bank, Security Bank, PNB and other banks. b. 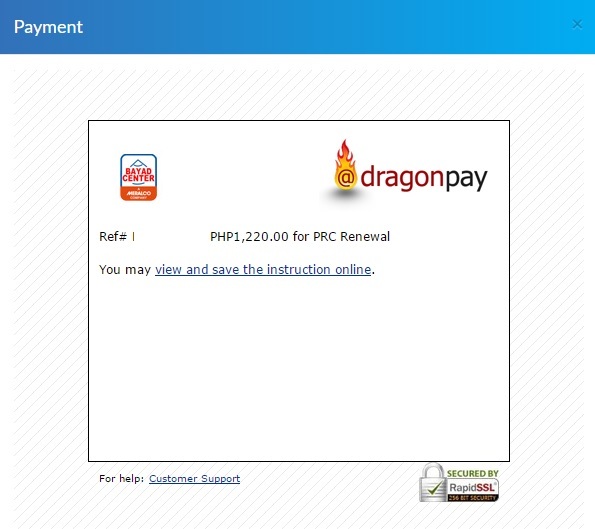 Pay via online banking ( BDO Internet Banking, BPI Express Online, Chinabank Online, Metrobank Direct, RCBC Access one, Unionbank EON/Internet Banking and UCBP Connect). c. Mobile payment - available mobile payment is thru GCash. To buy load, just dial *143# for free using Globe mobile. d. Bayad Center - Partners include LBC, Robinsons, eBiz, Petnet, Walter Mart, MailMore, Palawan Pawnshop, Villarica Pawnshop and more. You can also pay at SM (Megamall, North EDSA, Manila). 7. Proceed to your preferred payment method. A window will pop-up with your reference number (please take note of this) and the amount you have to pay for the renewal. Settle the fees before the deadline stated in the instruction from your chosen mode of payment. 8. For whatever reason, you also have the option to CANCEL your existing transaction. This can be found under EXISTING TRANSACTIONS tab next to PROFILE. 9. Visit PRC branch on selected date and time. Go to PROCESSING section first to verify your appointment. Don't forget to bring your payment receipt, copy of reference number stated on PRC Online dashboard. You may also bring other documents like birth certificate, old PRC license and other valid IDs to avoid hassle. Note: If you're not available to claim your license, duly authorized representative can act on your behalf. UPDATE: PRC advised that starting April 13, 2016, registration for the issuance of Professional Identification Card (ID) and Certificate of Registration will be done on-line.